Your big move is done! You’re all settled and unpacked — the house looks like a magazine cover! Then you discover one downside. To your annoyance, your garage is exploding with dozens of cardboard boxes. You don’t plan on moving again anytime soon, and no one you know needs boxes. (And Heaven knows you’ve asked around.) So, being conscientious about the environment, you look for ways to recycle moving boxes. Well, we have some great news for you. As it turns out, those old cardboard boxes can provide you and you family with hours of crafting and entertainment? In fact, cardboard projects are all the rage in the blogosphere. We’ve got the pictures and tutorials to prove it. Did you know you can make all sorts of projects to simplify your life? Check out these doable tutorials and get started. 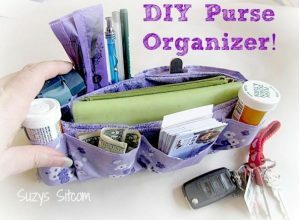 This handy purse organizer contains cardboard as a stabilizer. 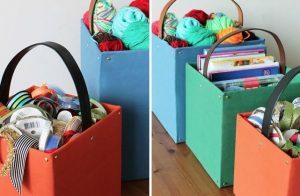 Reuse old belts and boxes to make these cute storage totes. Your children and fur babies will think you’re a genius when you give them the gift of endless entertainment. 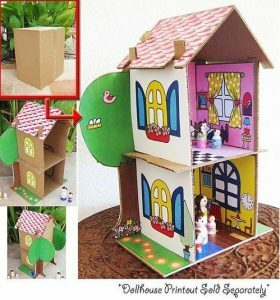 The fact that these activities were born of recycled cardboard boxes can be our little secret. We are obsessed with these darling dollhouses. 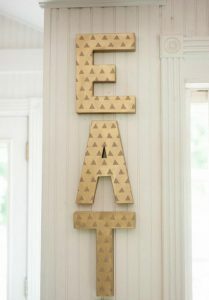 You can create your own designs, or buy the printouts and instructions on Etsy. 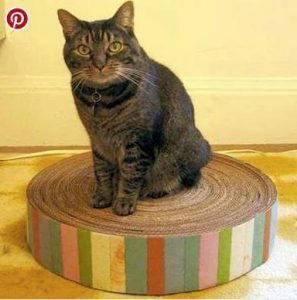 How cute is this cat scratcher with a custom painted edge? 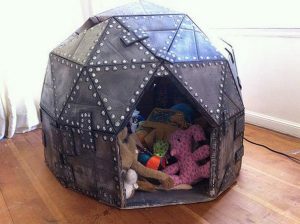 What child wouldn’t love hiding in this industrial-looking dome? Cardboard makes a great alternative to wood, canvas, and other crafting materials. Here are three examples to inspire you. You’ve probably seen letters like this popping up all over Pinterest, and now you can make your own without overspending at a craft store. 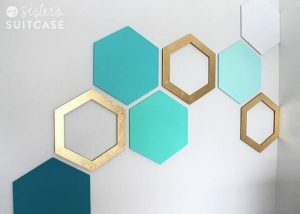 Unfortunately, the Etsy shop that offered this stylish geometric wall art doesn’t sell it anymore, but we think the experienced crafter could whip up something similar to recycle moving boxes. 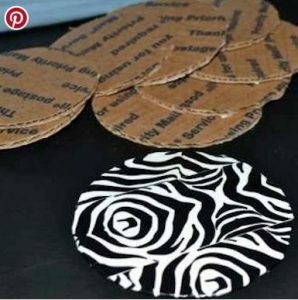 Make these adorable coasters in no time, using cardboard boxes and any type of decorative duct tape. Are you considering a move in the Greater Houston area? Ameritex Houston Movers is here to help you make it seamless and stress-free. Fill out the form on the right for a free moving quote.